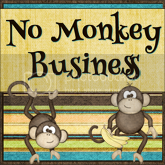 Hey guys no monkey business about this one it is a giveaway celebrating 300 followers come on over and party with the gang over at the No Monkey Business blog. You can enter the giveaway there as well and maybe win $30 amazon. I entered so should you. Aloha Friday a day to rest and prepare for the busy weekend. A day that the blog An Island Life celebrates with this fun little meme where bloggers ask simple questions and allows other bloggers to give an easy peasy answer. what is it that he would like to leave with his kids and his grandkids. What is his legacy. What sort of stories does he want told about him during and after his life time. What is it that you want to do in your next 30 years? What are your goals? your attributions? We have reviewed skoy at previous times and must say that we love them. If you are looking for an easy clean up, attractive piece that does the job and a great way to help display your summer food on the buffet in style you need to check out skoy. As we have all heard sponges harbor dangerous bacteria after uses which makes re-using them hard to do. My mothers practice of doing the dishes was to use a sponge and when done withit lay it on the back of the sink til its use was needed again. When the sponge had ran out its use it then would be transferred to another place in the kitchen and its use would change from the counters and table to the floors as it became more and more wore. Many consider using papertowels in the kitchen and their use is valuable but the cost of their use can mount up. Skoy is the answer to the age old problem, the multi use cloths can do the job safer and easier. 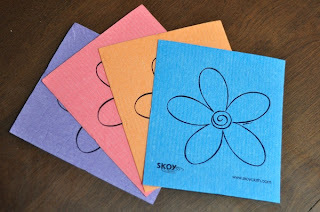 Skoy multi-use cloths look great and work great as well. They are absorbent, biodegradable and natural made. The perfect wipes for the kitchen and bathroom and any other room that needs a bit of cleaning up. Skoy cloths can be used on most surface areas in your home or office and provide that needed little wipe wherever a mess may take place. Skoy multi use cloths are made up of natural cotton and wood based cellulose pulp and are 100% biodegradable when their use is up. The colors of the cloths are not only beautiful but chlorine free as well which means that their colors should be steadfast. Skoy cloths are durable and can be used over the length of a month. One skoy cloth is equivalent to using 15 rolls of papertowels making the more effecient as well. If your house is like mine then you love saving every little penny you can and changing from papertowels to skoy makes an awesome change. Skoy cloths can be washed with your laundry allowing the bacteria to be washed away. 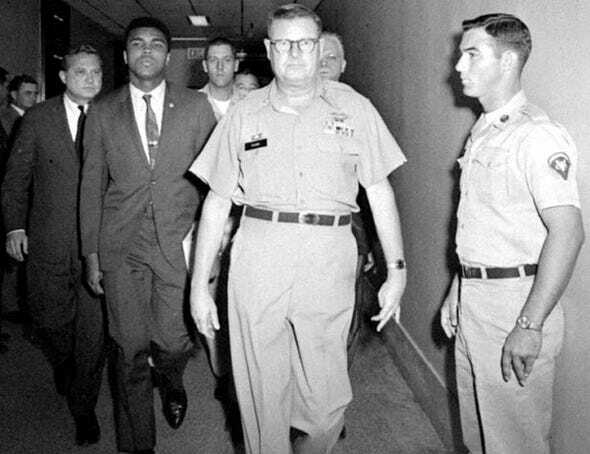 This week in history 6/20/1967 2 days before my husband was born and a bit before my time one of the greats was convicted of draft evasion. The vietnam war was action packed from the states to the battle on the fighting war line. There was no one it seemed that went untouched even the greats. 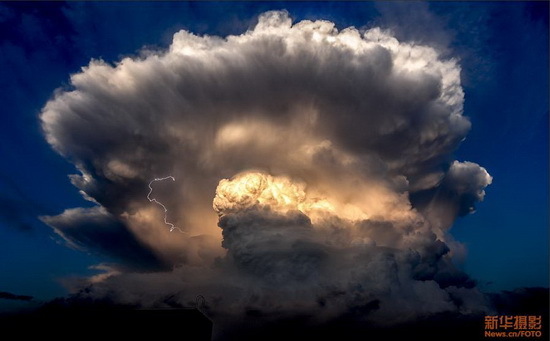 The conviction was later over turned by the U.S. supreme court. 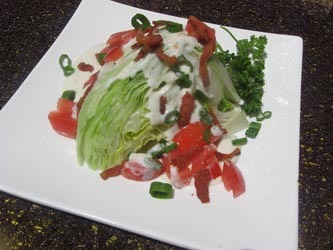 simply take the outer leaves off of an Iceberg or Crisphead head of lettuce, do not core, and cut in half and then in half again or as small a wedge as you like. Heat oil and add onion, carrot, and bell pepper. Saute until soft and beginning to colour. Add ham bone, peppercorns, bay leaf and stock or water. Cover bring to a boil. Add potatoes, cabbage, tomatoes, partially cover. Cook on simmer for one hour. Add herbs and sauce and simmer 15 minutes. Add the parsley last, and serve immediately. I love little easy desserts like this. They look attractive and taste yummy as well. The best part is that i know little hands love this type of dessert as well. In this day and age when the goal of finding a job is becoming one tough goal my mind (and maybe yours as well) has began thinking about starting my own small business. Years ago starting my own business may have been something that would not have crossed my mind but now days it seemed like a possibility that would work well. Many others have dreams of starting their own dream business and that may be the very reason that will spark your interest. 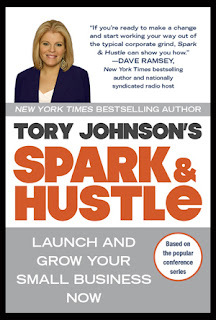 In fact recently I was able to join in a blog campaign and read the book Spark and Hustle by Tory Johnson. At first her name Tory Johnson may not ring a bell. However Tory has been around for a while now working for national T.V. news til she was let go. It was after she was fired that she decided to start her own business networking companies with women who were looking for work theirselves. Tory led a Spark & Hustle series of conferances to help those women that were looking to start their own businesses. You may have also noticed Tory Johnson on the Good Morning America show as well as uccess magazine. The cover of the book reminded me of a series of books that my father may have read on how to subjects when I was a kid. Reading the book I thought at first may be dull and uncreative as many how to books are. There are many other businesses within the pages that share their own testimonies and stories and makes this book a bit different than a how to but rather seems like a how we did it book. Seeing how others have done it and following along Johnsons guides and worksheet I can see how it can be done and have become very excited for a change of pace. If you are a person who has a spark of interest in getting your own business together then you may want to get your hustle over and check out the book Spark and Hustle on amazon. Stir together cornmeal mix, flour, green onions, bell pepper, sugar, and salt in a large bowl. Stir in crabmeat, egg, and beer until just moistened. Let stand 10 minutes. Pour oil to depth of 2 inches into a Dutch oven; heat to 360°. Drop batter by tablespoonfuls into hot oil, and fry, in batches, 2 to 3 minutes or until golden brown, turning once. Serve with your favorite rémoulade or cocktail sauce. June is burger month have you had a chance to try any new burgers? Don't get in a burger rut and just to help make sure you don't I wanted to share this very interesting burger recipe with you. 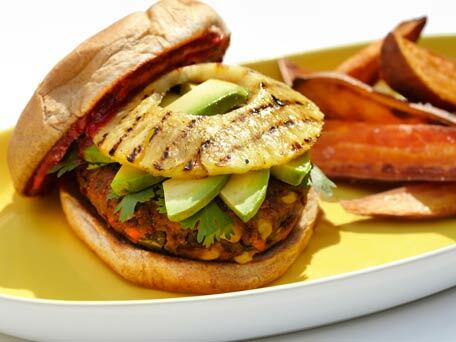 It is a Mexican Veggie Burger that looks very pretty and tasty. In our family summer time is normally a late night event, a season full of snacks and light meals and a perfect time for Pillsbury Baguette chips. These new chips are a healthier way to snack enjoy them alone or with a dip or salsa of choice. We were lucky enough to recieve a package of these Pillsbury Baguette Chips which are available in two great flavors Italian Cheese & Herb and Cheddar Sundried Tomato. 3. Lay the tortillas in two rows on a large rimmed baking sheet or in a single row in two 9-x-13-inch baking dishes. Top each tortilla with a spoonful of the tomato sauce and crack an egg on top. Sprinkle evenly with the cheese. Bake for 25 to 30 minutes, or until the eggs are set. 4. Serve immediately with sour cream, black beans, olives, salsa, and avocado. The first yoohoo friends were introduced by Aurora in 2006. Since that time more than 14 million pieces have been sold around the world. 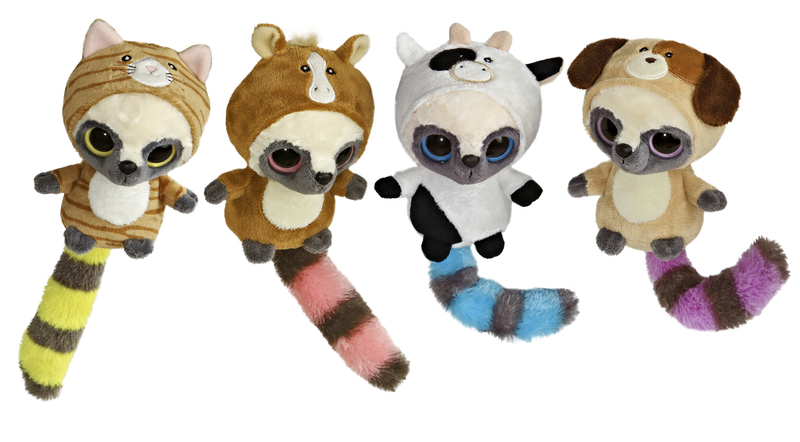 Not only is the collection available to fans of the Yoohoo collection but there is an interactive entertainment website located at www.yoohoofriends.com There are animals around the world located on the website and some of them are endangered. This type of fun website I believe brings knowledge to children and fans as well as helps build on their skills of pretend and imagination. All of us need more of that in our lives. 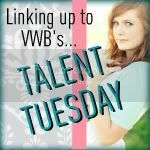 Have you ever wanted to be something other than who or what you are? Well the fun yoohoo friends wanted to do this as well and Aurora World Inc came out with a new line of friends called the wannabes The Wannabes are funny friends dressed up as other animals. Want to win a YooHoo Wannabe Friend of your own? Aurora and YooHoo friends is allowing one special winner to get their choice of YooHoo Wannabe Friend. Simmer the granulated sugar and 1/3 cup water until the sugar dissolves. Remove from heat and stir in the Grand Marnier. Pour the syrup over the strawberries and toss. Beat the cream and confectioners' sugar in a medium bowl until soft peaks form. Divide the strawberry mixture among individual bowls and top with the whipped cream. One of our favorite things to do in the warm weather is to get outside and take a walk. The little ones I believe enjoy it as much as we do. They of course get to ride in the stroller or wagon and we take a casual walk but we are all together and having an awesome time in the great outdoors. The only thing I can think that can irritate us all is if we use a blanket to cover our little ones up and it consistently falls down and onto the ground. 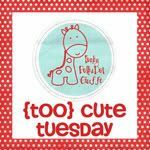 Not only irritating to us because of constantly having to stop but also a bit dangerous as we are not always aware when the blankie drops and may run over it with the stroller or trip over it with our feet that follow quickly behind. There is a solution to this problem though and the solution has been resolved by Z. Daisy. The Z. Daisy blankie bungie makes a big difference but is so small that it will not bother the passengar of the ride it is attached to. In fact the rider may enjoy the ride more knowing that their blanket will not fall. Not to mention those that are too small to realize why or where their protective blanket is going. Parents will love the simple to use clip as well that will attach easily to the blanket and stroller. The blankie bungee works great in the car as well. How many of us have securely covered our little rider up or handed a blankie to a precious child and only have to continously pick it up because it slips and falls off. The Blankee bungie clip makes it where this will not happen and we do not have to worry about the childs blanket ending up in the floor. Mothers who breast feed will love the fact that it can be used to help the nursing cover up to stay in place making a private atmosphere with less worry of the nursing cloth exposing anything that they do not want exposed. 1. In a mixing bowl, combine the cornmeal, flour, salt, baking powder, baking soda, and cayenne; set aside. 2. In a separate bowl, combine the cilantro, jalapeño, shallots, garlic, and buttermilk. Fold the dry ingredients into the wet, and whisk until well combined. Let the batter sit for 30 minutes before frying. 3. Skewer each cooked sausage with a 4-inch skewer. Fill a deep fryer or pot with peanut oil, and heat the oil to 350°F (use a candy thermometer). Dust each sausage with a little cornstarch before dipping (this helps the batter to stick to the sausage and not fall off in the hot oil). 4. Dip sausages into the batter and gently place in fryer, one at a time; fry until golden brown. Remove from oil and drain on paper towels. Serve warm. Spray a baking sheet with nonstick spray. Unroll piecrust, (it must be at room temperature), onto prepared sheet. Spoon cherry pie filling, (using as many of the cherries as possible), onto crust, leaving a 2-inch margin. Sprinkle liqueur, lemon zest and almonds evenly over filling only. Gently fold edges of crust inward over first 2 inches of filling, leaving center open. The sides of crust will overlap slightly at edges. If crust happens to tear, gently press it back together with your fingers. Sprinkle sugar lightly, to taste, over the exposed crust. Preheat oven to 350 degrees. In a food processor, pulse graham crackers and 2 tablespoons sugar until finely ground. Add butter, and process until combined. Transfer mixture to a 9-inch tart pan with a removable bottom. Using the base of a dry measuring cup, firmly press mixture into bottom and up sides of pan. Bake until browned, 10 to 12 minutes. Let cool completely on a wire rack. Meanwhile, in a large bowl, using an electric mixer on medium speed, beat cream cheese, vanilla, and remaining 1/4 cup sugar until light and fluffy. Gradually add cream, and beat until soft peaks form; spread mixture in cooled crust. Scatter cherries on top. In a small saucepan, combine jam and 1 teaspoon water; heat over low until liquefied, about 2 minutes. Using a pastry brush, dab cherries with glaze. Refrigerate tart at least 30 minutes or, covered, up to 1 day. Drain and rinse the canned beans, then place them in a large bowl. Add the corn, red pepper, red onion, and cilantro and stir. Next, prepare the vinaigrette. Measure the olive oil, vinegar, and mustard into a jar. Screw on the lid tightly and shake the dressing well. Add salt and pepper to taste. Pour the vinaigrette over the beans a little at a time and mix to coat. Add enough vinaigrette to suit your taste. Refrigerate the salad until you are ready to serve. Serves 8 to 10. Add Tanqueray London Dry Gin, Smirnoff No.21 Vodka, Captain Morgan Silver Spiced Rum, Jose Cuervo Especial, triple sec, and sweet and sour mix in ice-filled collins glass and stir.